March 26: 6:30 pm, Civil Rights Heritage Center (1040 W. Washington St., SB 46601). 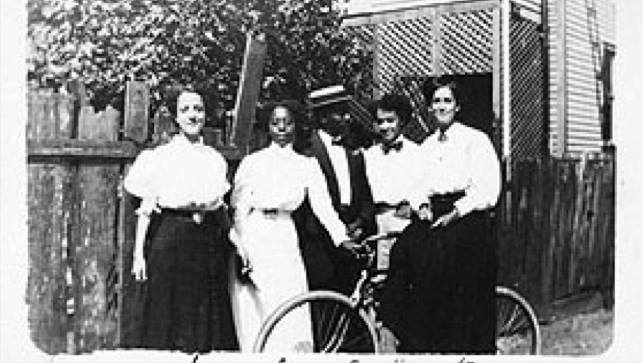 Join us for a panel discussion on the role bicycling has played in women’s empowerment from the 1880s to the present. Speakers from IU South Bend: Dr. April Lidinsky, Associate Professor and Director of the Women’s and Gender Studies Program; Alison Stankrauff, Archivist and Associate Librarian, Franklin D. Schurz Library; and Laura Hieronymus, Director Health and Wellness Center, IUSB Campus (retired). This event is free and open to the public, and it is part of the IU South Bend celebration of Women’s History Month. Based on the success of last year’s ND Cycling Classic, The University of Notre Dame has been selected to host the 2012 Midwest Collegiate Cycling Conference Championships. 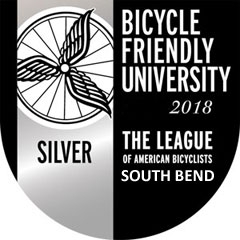 The race series will again include Team Time Trial (TTT), Road Race (RR) and Criterium (crit) events, but it will be even bigger this year with over 300 collegiate cyclists from about forty schools. As was the case last year, many volunteers will be needed. If you’re free that weekend and can lend a hand, please see below for details on how to get involved. The Northern Indiana Mountain Bike Association (NIMBA) will be having a Trail Build day at Bendix Woods, this Sunday, 3/25, from 9:00 a.m. to 1:00 p.m., and they are looking for helping hands. If you’d like to participate, enter the park through the gate off of SR2. The gate is just west of the Bosch facility. They will meet at the Otahnagon Shelter area. They have all the tools needed to build the trail, and volunteers just need to bring a pair of gloves to help out. They will have water and lunch for everyone. Spring time is the best time to build trail so come out an give them a hand!